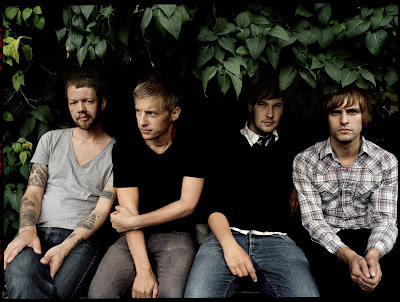 Rasmus Kellerman (married to Andrea Kellerman aka Firefox AK) started the group that seems to alternate between being a solo project and a band. He is a talented man who plays most instruments on his own and also finds time to be a member in a few other bands on the side. Rasmus is also a Graphic Designer which shows in all their high quality press and merchandise goods. Two albums and a couple of EPs has been released. My favorite album is still "Is My Head Still On?" from 2004, with songs like "Oh, Horatio", "Sellout", "The Sound Of Crickets" and "Like You Said". Take some time and get to know them, i think you might like it!